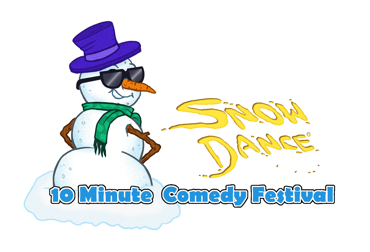 The Snowdance® 10 Minute Comedy Festival is a festival of original comedies that run 10 minutes or less. Submitted scripts will be judged by the Snowdance Selection Committee. A selection of scripts will be chosen for production during the Snowdance Festival in the winter of 2019. These selections will round out a complete performance. Audiences attending Snowdance performances will have the ability to vote for the production they enjoyed the most. The votes will be tallied throughout the five-week festival run, and the Snowdance “Best in Snow” will be awarded to the winning playwright after the final performance on February 25, 2019. Cash award of $500.00 to “Best in Snow,” with $200.00 awards to second place and $100 for third place.